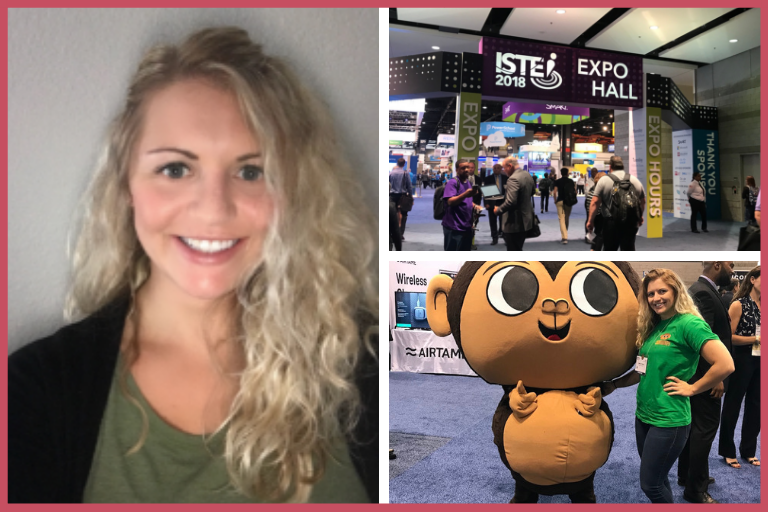 ISTE 2018- was not one to disappoint. The wealth of sessions available to educators are unparalleled to most conferences. The keynotes were motivating and inspiring everything they should be and more. The sessions although valuable in my opinion do not even compare to the expo hall. The expo hall was breath taking, full of innovations and color. Each booth had something new and exciting to offer. Microsoft, Google, Kahoot and Pi-top were some of the most attractive booths. They were full of color and buzzing with potential for the upcoming school year. Every year, for 9 years, I spent my summers attending conferences. Talking to the innovators of endless EdTech companies. This time, this summer I was on the other side. I was no longer the teacher. I was the exhibitor. It was my job to try to get the teachers attention. I knew what I didn’t like from the teacher side. I also knew when a teacher wasn’t interested. I would observe our sales person talking to teachers but I knew how to reach teachers because I was one of them. The hours were long, there was no lunch, or time to take a break. It was fast and furious. My legs were tired, and I felt almost zombie like. Lots of entertaining that took place in and out of the booth. But, for the first time in a long time the hours felt worth it because I knew that I believed in the product and at the end of the day students would be impacted. I learned a lot not only about being a teacher but being an exhibitor. I am so thankful for all my years in the classroom. I know that I can only grow further from here. It Sounds like it was a Blast!! !